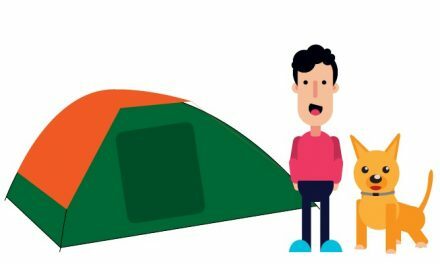 When you’re planning a road trip or any other kind of travel, you definitely wouldn’t want to leave your best buddy behind. You may not want to trust a dog sitter or kennel, or just the thought of being away from your loyal buddy may be too difficult to digest. However, dragging your dog along could be quite a bother and even be dangerous to the animal itself. If you do your homework, though, you will be prepared on how to make your canine companion comfortable and safe throughout the journey. Here are some tips on how to travel with a dog that could help you in this regard. No matter which mode of transport you’re using, you can’t afford to lose your dog without any hope of getting it back. 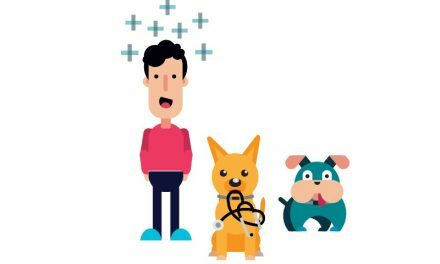 Losing a pet for good could be as traumatic as losing a family member, so you want to take special precautions to make sure this doesn’t happen. Whether you’re en route or enjoying yourself in another country, your dog could very well get scared and run off or simply be left behind by mistake. Consider buying a special dog collar that has a microchip embedded inside. This would allow you to track your pet and determine its whereabouts if you can’t see it. Whichever kind of collar you use, make sure it has updated information, including the dog’s name, your name, and your contact details. If you’re traveling by air, it’s usually not a good idea to take your dog along. If you’re moving or simply have no other choice, there are certain precautions you can take to ensure your dog isn’t handled roughly. We may think of our dogs as friends and family members, but they would only be a kind of cargo for airlines. 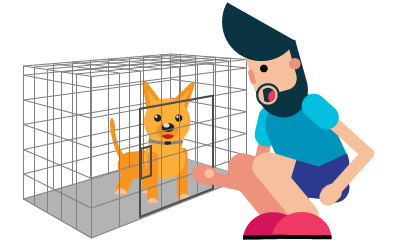 More often than not, your dog (or any pet) would have to travel in the cargo hold in a cage. Needless to say, this is not at all a pleasant experience, even if your dog doesn’t have anxiety problems. You should first call ahead to see if there’s any way your dog can travel in a carrier under your seat. This might be an option if your dog is on the small side. Alternatively, you should check if there is any animal-friendly airline in your vicinity that would allow pets to sit like passengers. Pet Airways is one such example, but it only flies animal passengers, not humans. Traveling in a car or van is one of the best ways you can travel with a dog. 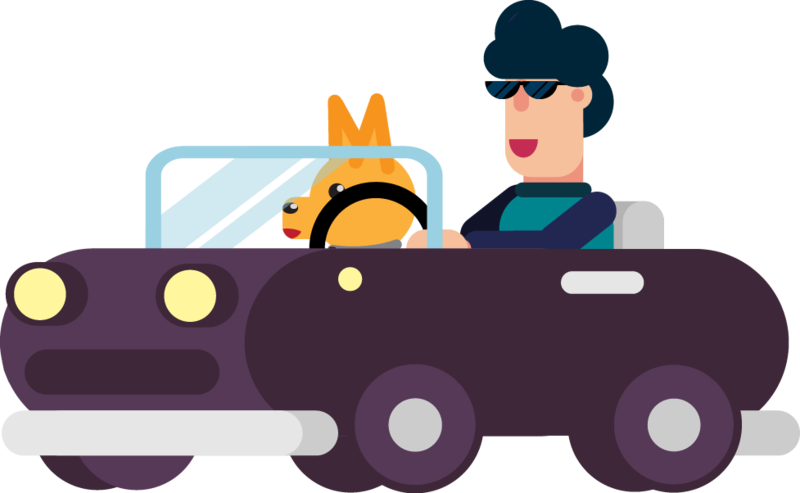 If you plan to make the trip in your own vehicle, your dog would already be familiar with it due to trips to the park, the vet, or wherever you take it. If you’re planning on renting another vehicle or haven’t acclimatized your dog to your car, you may want to get it familiar right away. Dogs could get anxious in cars, so you want to rule out that problem as soon as possible. Take your dog to have fun in the park or to a store where you buy it treats and toys. No need to spoil it; just do it enough so that it’d think of the car as a great place to be! In case you need to travel on short notice and have a still-anxious dog on hand, you may want to consider some anti-anxiety medication. If there’s no other option, such mediation could be a great relief for both animals and humans. Always make sure to consult your usual vet before giving any new medication to your pet. In any case, medicines should be used as little as possible. Be sure to look up veterinary services on your route and in the neighborhood of your destination. Google Maps is an excellent app for noting down the closest places you could visit or call if your dog needs medical help. Additionally, make sure you know just where the rest stops would be along the way. 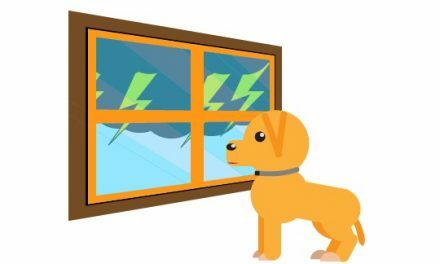 This would make it easier to plan exercises and refreshments for your dog and create a sort of bathroom schedule for it. Make sure the rest stops aren’t too far apart. Your dog should be able to stretch it legs, get some fresh air, and relieve itself every three to five hours. If the rest stops don’t match this range, consider another route or simply making arrangements for the dog to stay behind. It may be a much better option than causing the dog or yourself any kind of unnecessary pain. In order to make sure you don’t leave anything behind, construct a list especially for your dog or add it to your own to-do list. We’d suggest using an app for this since paper lists tend to get lost or destroyed very easily. If your dog has a lot of pent-up energy, try to release all that before you leave. The new sights, smells and sounds could very well make your dog even more excited and hyperactive than it usually is. This could make it a threat to itself and to others. At the very least, it is more likely to become a nuisance. Hence, it makes all kinds of sense to take your dog for a long run before the long drive. This would hopefully tire it out enough to be peaceful and well-behaved for at least part of the trip. Taking your dog along on a family trip, camping, or any fun vacation could create really fun memories. On the other hand, not taking into account your pet’s requirements for the journey could seriously ruin the whole thing for everyone. Hence, it’s highly recommended that you start the planning straight away. The more effort and thought you put into this journey, the more enjoyable it would be for you, your family, and your dog.